One of our August weekend carvers was Amanda, who spent five days developing a three dimensional carving inspired by the shape of a lapwing’s wing. Amanda is a writer and expert in communication and she has documented her carving days in her blog. She has reflected deeply on the creative process and the powerful mind-body connection that is central to the art of stone carving. 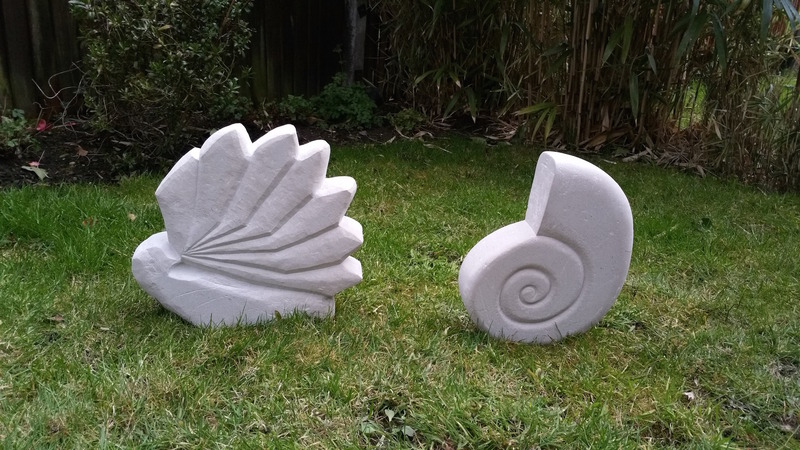 Amanda’s piece is quite complex and she has taken the stone back to London where she is continuing to work on it – she will return in November to build on her skills and work with Pete on how to bring the carving completion. Amanda has teamed up with Becky who completed three days of carving in August. They both purchased carving tools following their time in Cornwall and have met up to work on their carvings in Becky’s garden. It’s great and really rewarding when our students continue with their carving, we love to hear how they are getting on. Read about Amanda’s experience of carving here.